Ancient Egyptian pyramids are considered among the most magnificent structures ever erected by human beings. There are more than a hundred pyramids in Egypt, although not all of them are equally famous. The Egyptian pyramids were constructed during the periods of the Egyptian kingdoms between 3100 BC and 1800 BC, after which the practice stopped. 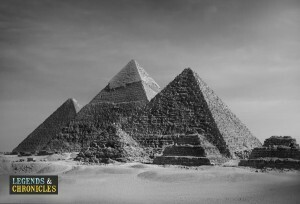 One of these ancient pyramids, the Pyramid of Khufu at Giza, is considered among the seven wonders of the ancient world. Egyptian pyramids were used as burial sites for the kings and many of the Pharaohs and queens were buried in these pyramids. The main purpose of the pyramids of Egypt was to bury the Egyptian kings and the queens. Many different sizes and shapes of ancient Egyptian pyramids were used to bury different Pharaohs. This practice started in the “Old Kingdom” and continued until the end of the Middle Kingdom. The bodies buried in the pyramids were properly mummified in order to preserve the physical body in preparation for the afterlife. Pyramids also held other things such as boats, wooden statues, stone carvings, food, and clothing which the Egyptians thought would be helpful in the afterlife. The history of the pyramids extends well beyond the emergence of the first dynasties. First pyramid-like shapes, although not exact pyramids began to be constructed in Egypt around 3500 BC. But the actual structures that can be called pyramids began to be built around 2700 BC. Pyramids built during this period were step pyramids, bent pyramids, and north pyramids. The greatest Pyramid of them all is called the Pyramid of Giza and was constructed around 2600 BC during the Fourth Dynasty. The practice of building pyramids stopped around 2300 BC but resumed again around 2000 BC in the time of the Twelfth Dynasty. The Last great pyramids were built during the 13th and 14th dynasties around 1800 BC. The pyramids of Giza in Cairo in plain sight here. There is considerable speculation and dispute as to how exactly the ancient Egyptian pyramids were built. Various theories are prevalent among scientists and Egyptologists. It was a feat of human adventure and perseverance to drag the large blocks through the desert and construct the giant structures. According to one of the most widely accepted theories, the pyramids of Egypt were built by moving large blocks of stones across the desert after wetting the sand under the contraption that was used to pull the stones. This mechanism made the movement of the stones on the sand easier for the Egyptian slaves. The pyramids were used to entomb the bodies of deceased people, and before the burial, it was customary to mummify the bodies which had a specific purpose of its own. But not everyone was mummified since it was an expensive process and only wealthy people who could afford it were mummified. The reason for mummification was to preserve the body for the afterlife. It was believed by the Egyptians that spirits in the afterlife would meet with their bodies but this was only possible if the bodies were intact. The process of mummification ensured the fulfilment of this purpose. While the basic purpose of the pyramids was the burial of the Pharaohs, they were also of religious significance. One of the symbols of worship that ancient Egyptians used was in the form of a mound of earth, which was for the god called Nefertum who was considered the source of all life. Thus the mound represented the source of life on earth and was erected for Nefertum. According to some scholars, the mound-like shape of the Egyptian pyramids was not an accident but also represented this devotion to the gods. Similarly, the idea that the body has to remain intact after death so that it can meet with soul again was also derived from religious beliefs. The magnificent pyramids of Giza. There are many famous pyramids, and the most famous of these all is of course the Great Pyramid of Giza also known by the names of the Pyramid of Khufu or the Pyramid of Cheops. It also the oldest of the seven wonders of the ancient world and was constructed by the Pharaoh Cheops. There is also a stepped Pyramid of Djoser which is considered one of the oldest stone structures in the world. Other important ancient Egyptian pyramids include Dahshur, Mazghuna, Lisht, and others. The Great Pyramid of Giza is undoubtedly the most magnificent of all surviving ancient Egyptian pyramids. It was built by Pharaoh Khufu who hailed from the Fourth Dynasty. Originally its outer surface contained casing stones which gave it a smooth look. These stones, however, were plundered over the subsequent centuries and now what remains is the underlying structure. Inside the pyramid, there is separate Queen’s chamber and King’s chamber. The original building also included two temples built in honour of Pharaoh Khufu. It took over twenty years to complete this giant structure. It had the honour of remaining the tallest man-made structure on earth for over 3,800 years. 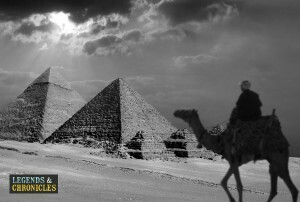 The ancient Egyptian pyramids have continued to fascinate the humans throughout their history. These structures are undoubtedly among the most marvellous man-made structures on earth. The main purpose of these ancient Egyptian pyramids was to bury Pharaohs and queens. The pyramids also had deep religious significance reflected from ancient Egyptian theology. The fact that ancient Egyptian pyramids have survived the ravages of thousands of years is a testimony to the expertise of their builders.